Hey Guys! Before I start the post I just want to say a late Happy 4th of July for all my American readers or anyone who celebrates it! In todays post, i've decided to do a skin care routine as I love reading peoples blogs and watching videos on YouTube of their routine. 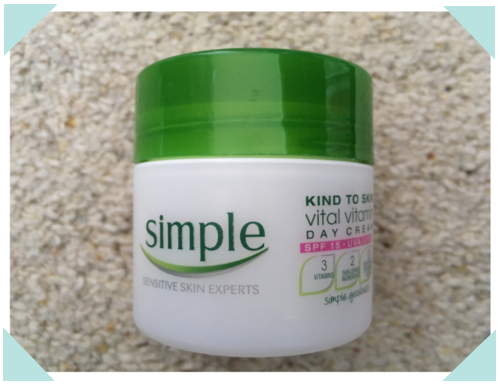 My skin is normal to combination and i've struggled to find products that my skin will benefit from using. But I've finally found ones that actually help and make a difference when I use them. However, I still get spots but they are more based on that I am a teenager, which I am guessing every teenager will understand the struggle of. The majority of my routine includes Simple Skin Care, which I would highly recommended. I find that it makes my skin so soft and moisturised, which is why I love it. I also want to point out that I do not use all these products everyday. Some of them I will only use once or twice a week. This is probably my least used product as I don't wear make-up very often, but I will use it if I have mascara on. This would be the first thing I would use as it will get all the make-up of my eyes, so when I wash my face I wont look like a clown. I have found that these don't irritate my skin around my eye, which is good as I have sensitive skin just under my eyes. I always like to gently wipe my face with a flannel before washing it. After doing this I will use this face scrub, which I only use once to twice a week. However, I will mainly only use it on the T-Zone area as I feel like the rest of my face doesn't need to be scrubbed. I find this has really helped to clear my skin and made it less oily. I will then use a normal face wash, which I will use all over my face, even if I have used the scrub, as I feel like it makes my face feel cleaner after. 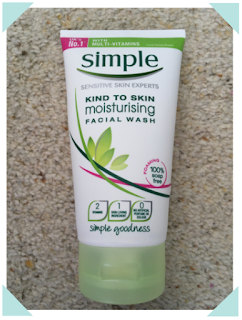 I have been using this face wash for ages and it is the best face wash I have ever used. I've tried changing it but always end up using it again. What I really like about this is that it also moisturises my skin as certain face washes dry it out. 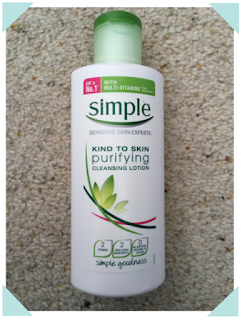 I have only recently started cleansing by face, which I have found really helps my skin. 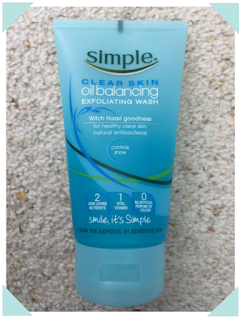 I really like the Simple cleanser as I find that it has given the best results. 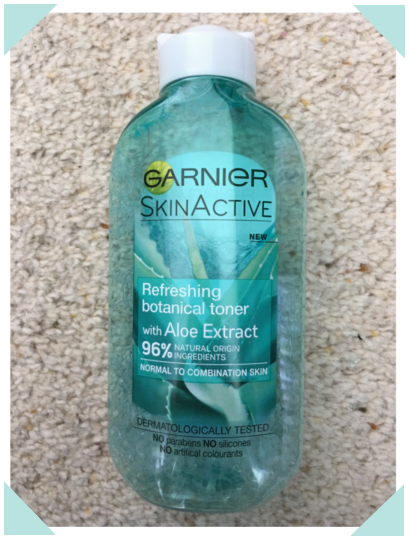 After putting this on my skin and washing it off, I will gently get the flannel and wipe my face so I know that I have got all the cleanser off. 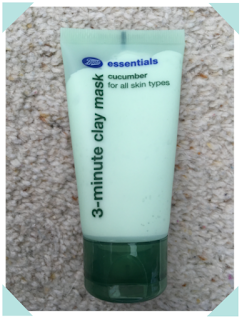 I love using this clay mask as it works so well on my skin. I always put this on after I have cleansed my skin as it says to put on a cleansed face. 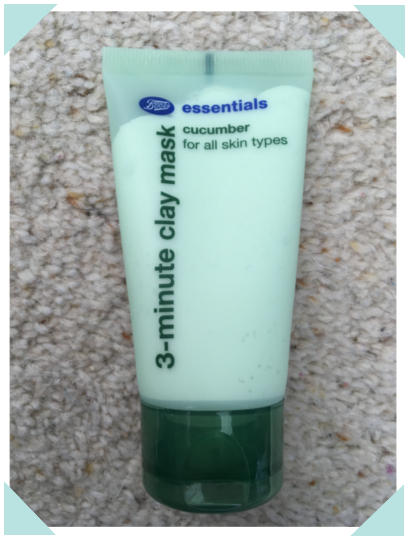 This is for all skin types so I would recommend trying this if you have a Boots. It also smells so nice. After 3 minutes is over, I will rinse it of and again gently use a flannel to wipe my face. Before using a toner, I always splash my face with cold water, which will help close my pores. I will then dab my face dry. 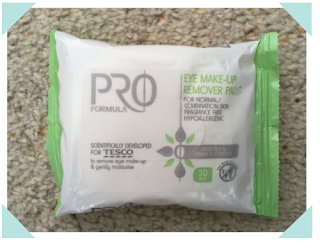 To apply the toner, I use a cotton wool pad, which I will wipe all over my face. I use to use a Simple toner but have found this one much better and more hydrating. I let the toner sit for a few minutes before applying any moisturiser. This is day cream so I will only use this in the morning. It also has SPF 15, which protects my skin from the sun. I really like using this and it smells really nice to. 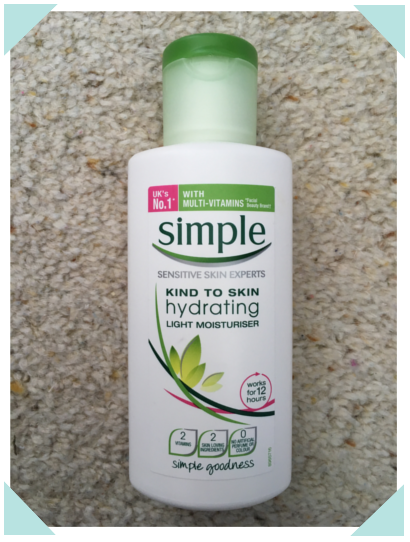 When I wash my face at night, I will use this moisturiser, which is light. You can also get a rich one, which would be better if you had dry skin. I've used this for so long now and have found it to be the best moisturiser for my skin type. 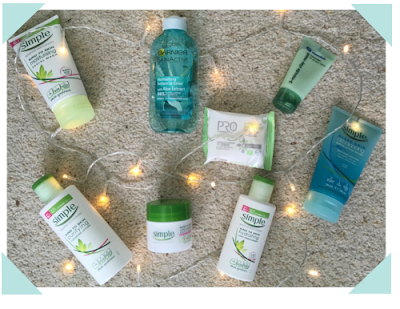 These are all the products I use during my skin care routine. If you are interested in any of these products, click the name of the one you want and it will take you to the website. If you have any products which you would recommended, feel free to comment them down below. I hope you enjoyed reading this post! I love every product mentioned so make sure you do check them out as you will love them too. QOTP: "You can't start the next chapter of your life, if you keep re-reading the last one"